Show your love. Unique gift of precious beauty, send them to your special someone. 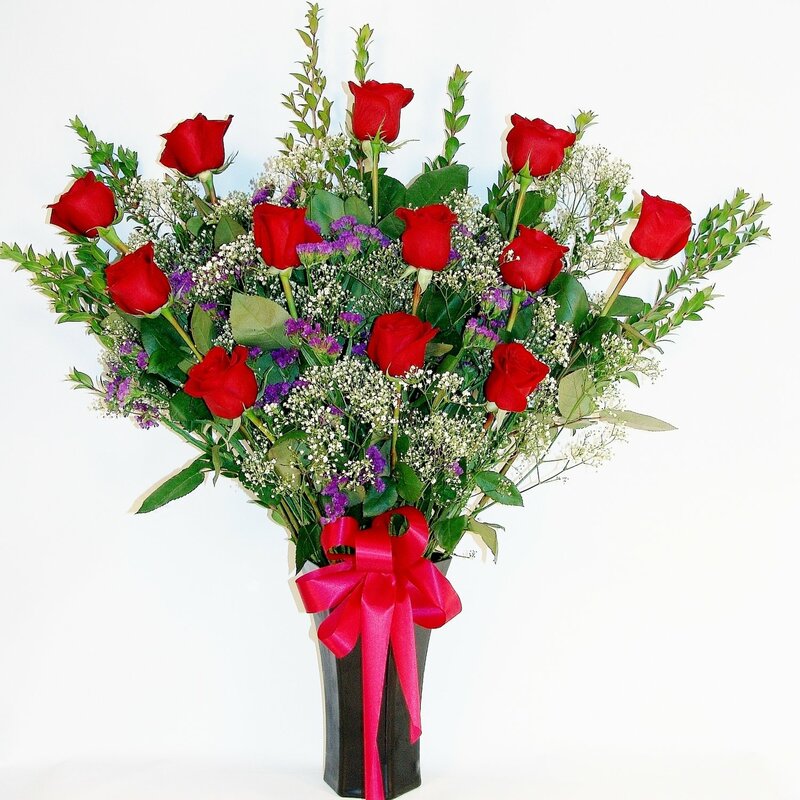 Red roses arranged with white gypsophila, statice, and lush greens in a beautiful glass vase.